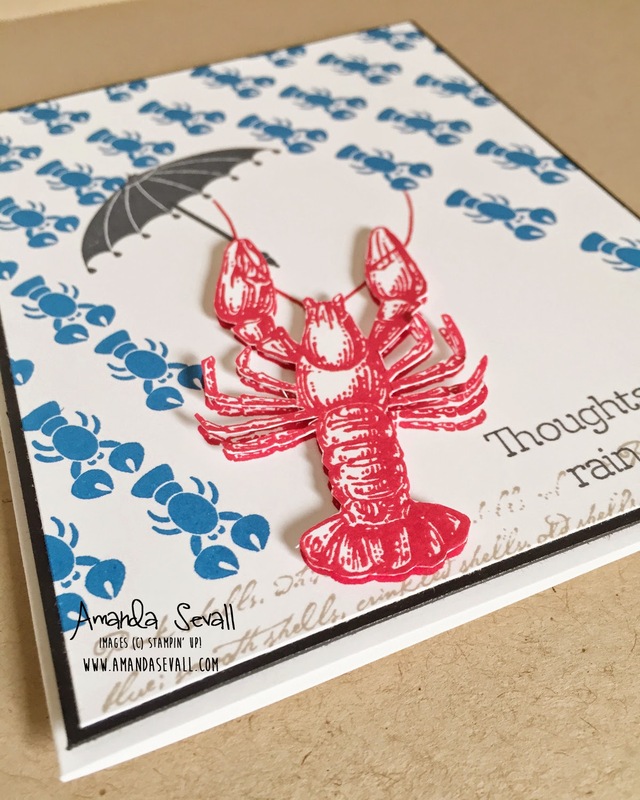 Amanda Sevall Designs: 365 Cards: Singing in the Lobsters?! So this card started out tough for me... I love this stamp set and I have made so many cards with it, I was totally stuck for ideas! So I caved and searched on pinterest for "lobster art" and found this. I instantly knew what I needed to make! All my favorites lobsters all on one happy card! 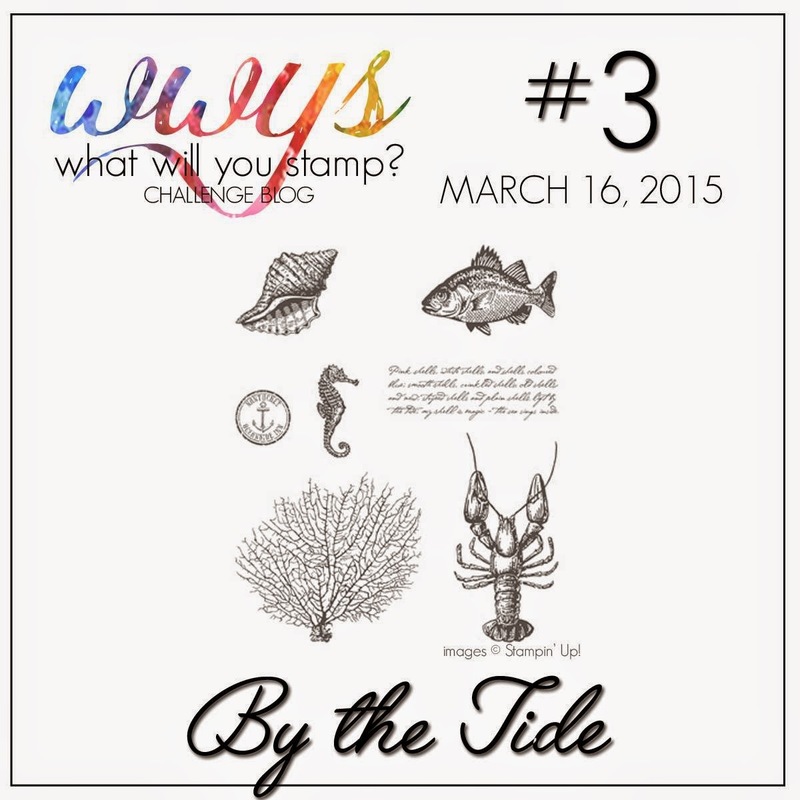 Now go check out all the other awesome cards from the What Will You Stamp? design team featuring one of my most favorite stamp sets!! LOL! If I made a million lobster cards, I don't think I would come up with this! 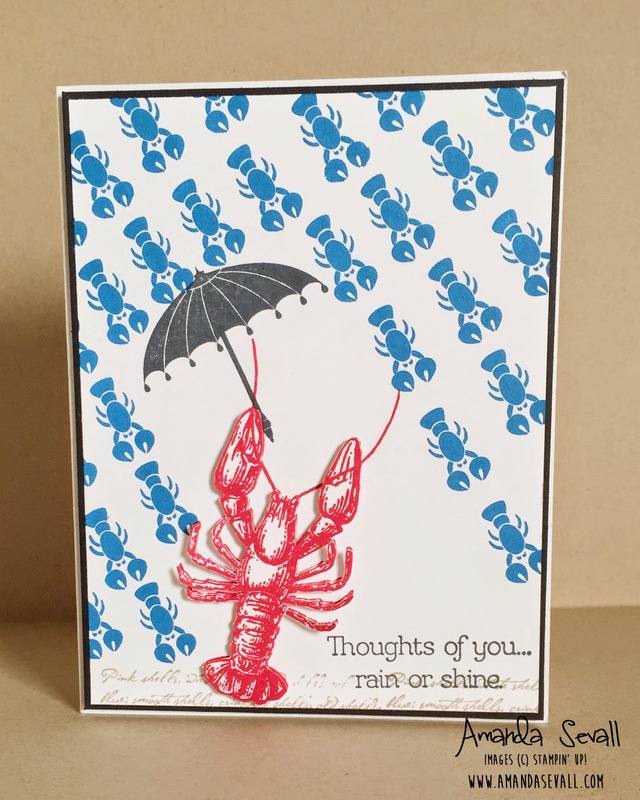 I love how you combined all the little lobsters together on one card! Fantastic job! This card made me LOL....Love it!!! This card just makes me smile! What a clever idea!